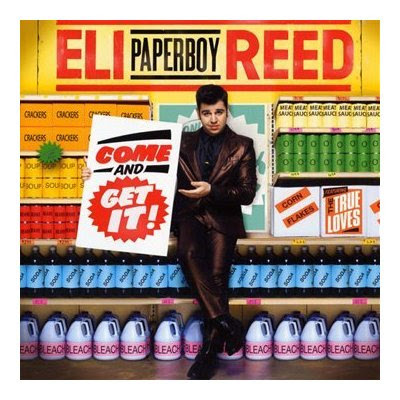 Discussions Magazine Music Blog: ELI PAPERBOY REED/Come And Get It: Available August 10th, 2010! ELI PAPERBOY REED/Come And Get It: Available August 10th, 2010! 2010 album from the dynamic Soul/Rock vocalist. Think big-name modern crooners like Michael Buble`, Harry Connick Jr. and Jamie Cullum that capture the nostalgic hearts of the older baby-boomer consumer but also think Amy Winehouse, Sharon Jones & The Dap Kings and Duffy that attract the young hipsters and that is who Eli 'Paperboy' Reed appeals to. His music is an authentic throwback to R&B/Soul of the 1960s yet also fresh, accessible and modern. He is a progressive Soul-revivalist and it's with a broad appeal that Mr. Paperboy is setting out to conquer the world as the next big thing.